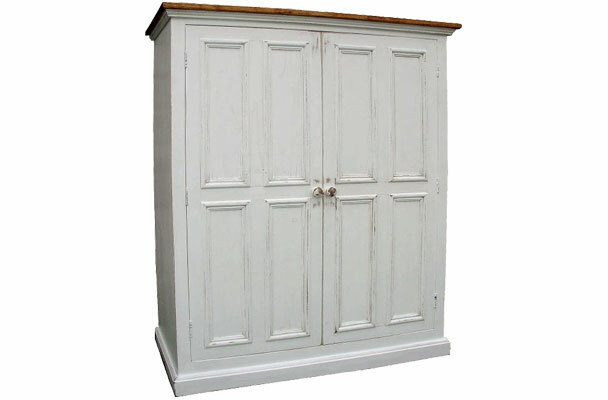 The French Linen Cupboard is a wide clothing armoire with just the right size; perfect for bedding, sheets, towels, clothing and linen storage. 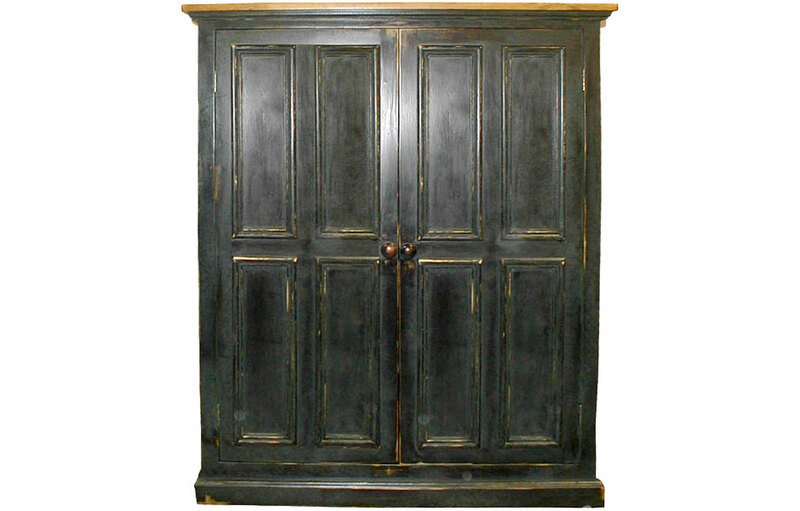 This linen armoire has (2) doors with (8) inset beveled panels, flat base moldings, and crown molding. Inside, there are three shelves at fixed heights and one lower base shelf. All shelves are removable. Store all your finery and goods in one organized place. Bedding, sheets, and towels can be simply organized and easily accessed in this elegant French Linen Cupboard. 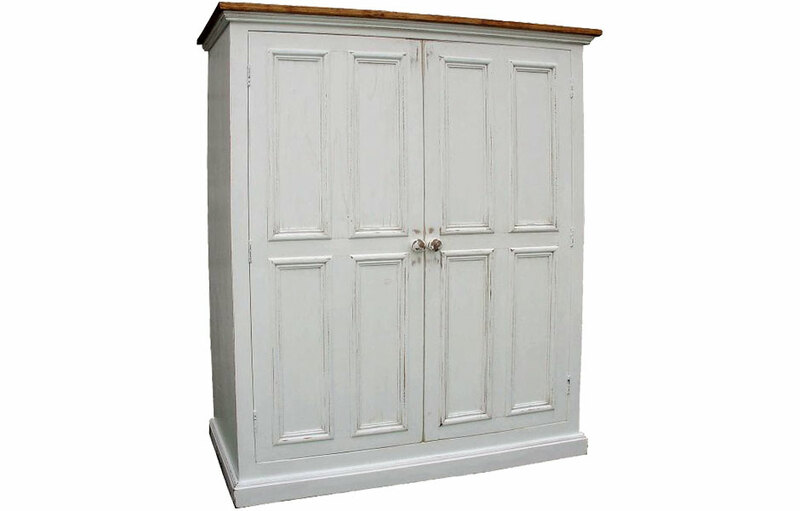 The French Linen Cupboard offers wide low storage which is just the right size to fit in any room. Store all your finery and goods in one place. The linen armoire has (2) doors with (8) beveled inset panels for classic, elegant french-style. The flat base moldings, and crown molding add to the sturdy armoire. The cupboard's interior features (3) shelves at fixed heights for folded storage of towels, clothing, blankets and sheets. The base of the cabinet offers additional storage area. All shelves are removable to store large items on the shelves. 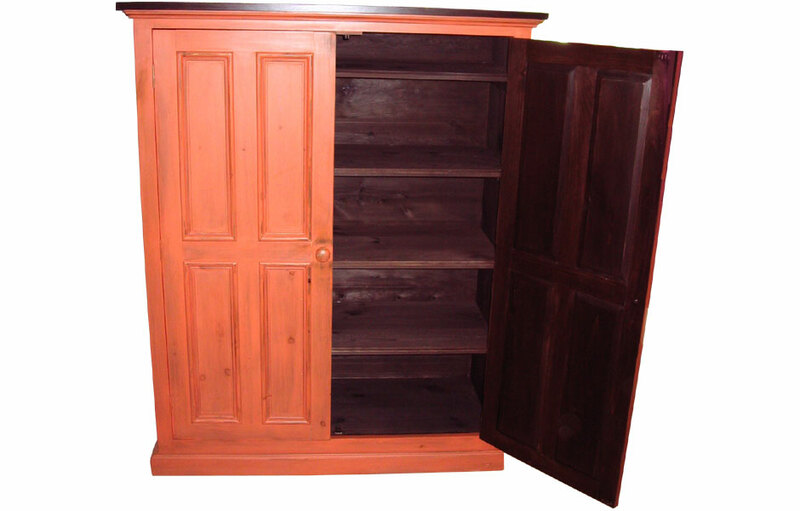 The cupboard doors feature traditional French knobs made of solid wood. The armoire is a narrow piece for a small space with its 16.5" depth. The 5ft., low height armoire is ideal for displaying decorative items or showcasing artwork on the top. 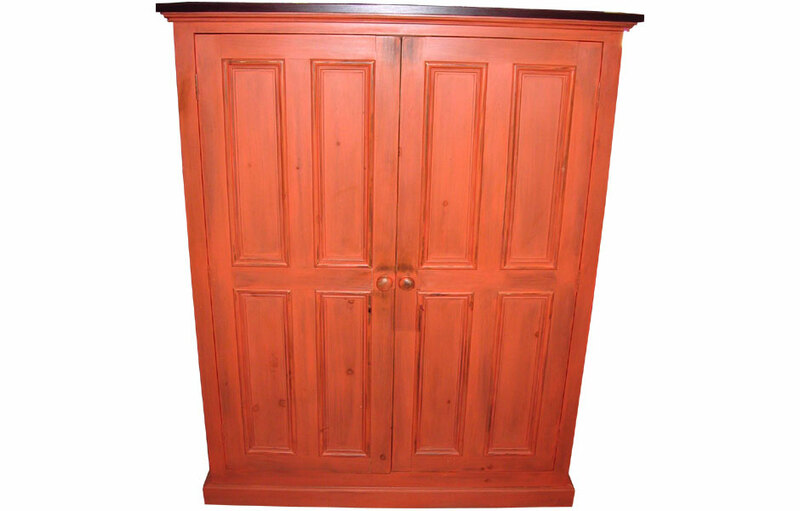 The spacious 45" wide cabinet provides all the storage found in a larger armoire. The cupboard is also an ideal clothing wardrobe for additional storage. The elegant French country armoire can be painted in a classic two-tone finish with a stained interior and top with painted exterior, or all-over one color finish. The French Linen Cupboard complements French Country, English Cottage, Farmhouse, Rustic, Transitional and Traditional style decors. 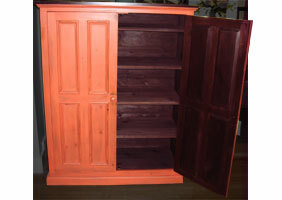 French Linen Cupboard finished in Salmon. 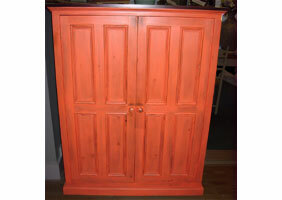 French Linen Cupboard, Open Door, Salmon.